2017 was a year for the history books, with a news cycle on overdrive, and established norms being upended at every turn. Included in this upheaval was the unearthing of horrific skeletons from the screen industry’s tightly locked closets. It has also been a year of the industry (finally) embracing honesty – a year of survivors’ bravery, and a year of testing everyone’s integrity. Among those courageous voices were Canadian actors and directors Sarah Polley, Rachel McAdams, Mia Kirshner, and Ellen Page, who spoke out about their own experiences of workplace harassment, signalling to other young women that we are an army, and that our battle cry will not be a silent one; these women would help lead the charge and will continue to help transform the industry into a safe and respectful place to work. For a lot of Canadian talent in fact, 2017 was a year to shine, and not just in the case of All the Money in the World, which is replacing Kevin Spacey with beloved Canadian, Christopher Plummer. No, Canadians are popping up all over, and with 2017’s moral perhaps being that it’s cool to be kind (or at the very least to have morals in the first place), there is no end in sight for our homegrown stars, so long as they have Canada’s trademarked kindness to boot. 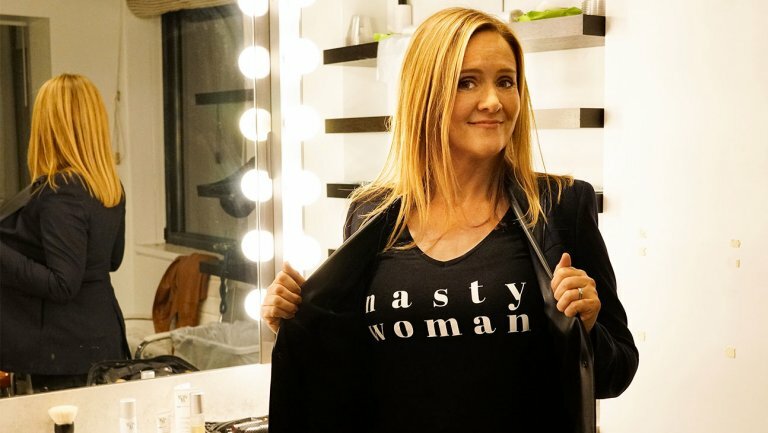 Seasoned comedian Samantha Bee had a lot of material with which to kick off her second season. Over the last few months in particular however, with allegations of sexual misconduct constantly coming to light, Bee has become an increasingly prominent, and important voice, cutting through the boys’ club drone of late night television. According to Bee, “We are literally bursting at the seams with content. We wish our show was 800 minutes long.” The pundit and self-proclaimed “Nasty Woman” has remained at the forefront of the daily news (and Twitter feed updates) in the world of American politics, while also being a mainstay of Canadian pride. Finn Wolfhard has been making himself internationally known since the 2016 debut of Stranger Things. With the release of the second season and a cult following, Wolfhard is well on his way to becoming a household name, not just in Canada, but around the world. At the ripe old age of fourteen (his fifteenth birthday is just days away), Wolfhard exemplifies the characteristics – and career – sought after by actors twice (or even thrice) his senior. He and his fellow Stranger Things cast mates are known for being multi-talented and personable, which is frankly remarkable given the success they’ve garnered at such an early age. Using his youth to his advantage, Wolfhard has been busy over the last year, between his hit Netflix series and returning home to Canada for his role as Richie Tozier in this year’s film adaptation of Stephen King’s It. We hope he doesn’t plan to follow in character Mike Wheeler’s footsteps and “[leave] the country” for good. Jim Carrey made his mark on the international scene long ago, rolling out hit after comedic hit and taking a starring role in most millennials’ favourite childhood films. In recent years, he took a step back from the spotlight, appearing in fewer flicks. 2017 however provided Carrey the opportunity to leap back onstage in a documentary (which screened at the Toronto International Film Festival this past September before being picked up by Netflix for public consumption) which appropriately calls back to his late ‘90s days. 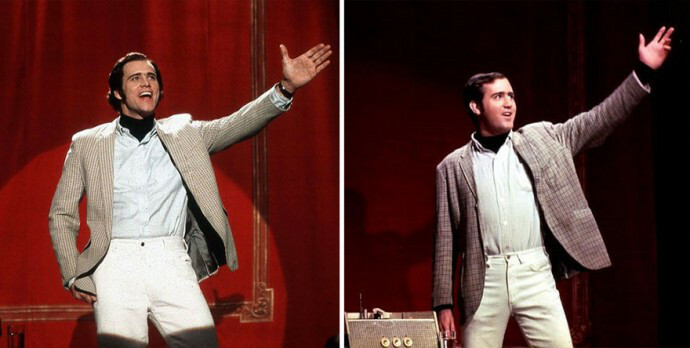 The documentary, Jim & Andy: The Great Beyond – Featuring a Very Special, Contractually Obligated Mention of Tony Clifton, dissects Carrey’s bizarre behaviour – onscreen and off – during filming of 1999’s biographical Man on the Moon, which starred Carrey as the legendary and chronically misbehaved American actor, Andy Kaufman. Jim & Andy is sure to delight anyone who loves Carrey, Kaufman, or the existential extremes of comedy. 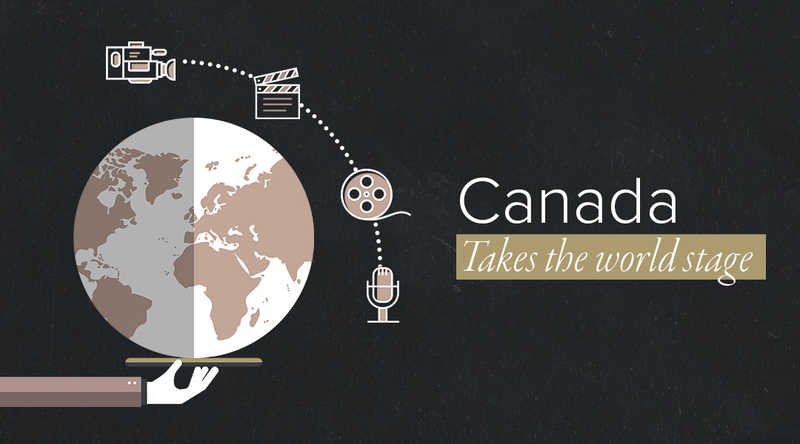 We have a lot of actors to celebrate this year – Sandra Oh’s social worker character in American Crime, Mena Massoud’s casting as the titular Aladdin in the Disney reboot, Stephan James’ lead role alongside Julia Roberts in Homecoming – Canadian actors have truly done our industry proud. But performers aren’t Canada’s only valuable asset: Canadians are known for their prowess in the world of animation, however the marriage of animation and immersive virtual reality is still relatively new territory. One of the pioneers in this creative landscape is Canadian playwright and filmmaker, Jordan Tannahill whose animated VR piece, Draw Me Close was heralded as “an emotional and technologically brilliant experience that takes the concept of immersion into new heights” when it premiered at this year’s Tribeca Film Festival. The piece details Tannahill’s own experience as a child learning of his mother’s terminal cancer diagnosis. 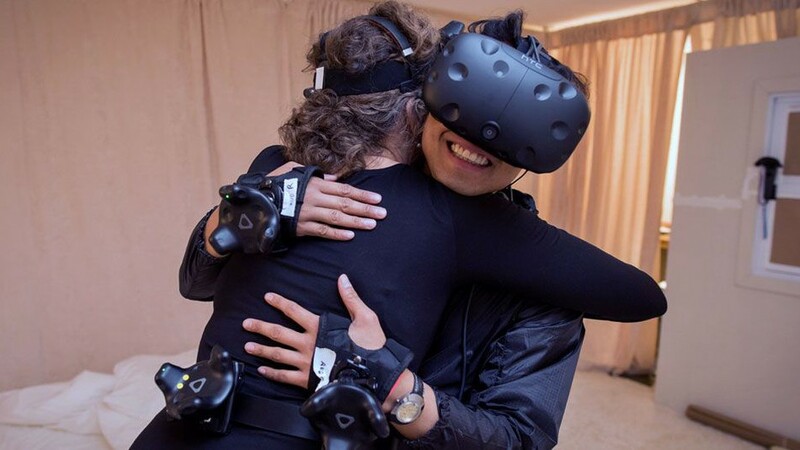 Draw Me Close uses live actors and VR technology to deliver a fully immersive, even tactile experience, thereby addressing what is often missing from traditional virtual reality films, and creating an even greater emotional connection to the piece, through the physical. Tannahill certainly stands out as a thought leader in his field both nationally, and globally. Another Canadian who has brought his personal life and background to a film is southern Albertan and Blood Tribe actor, Eugene Brave Rock. 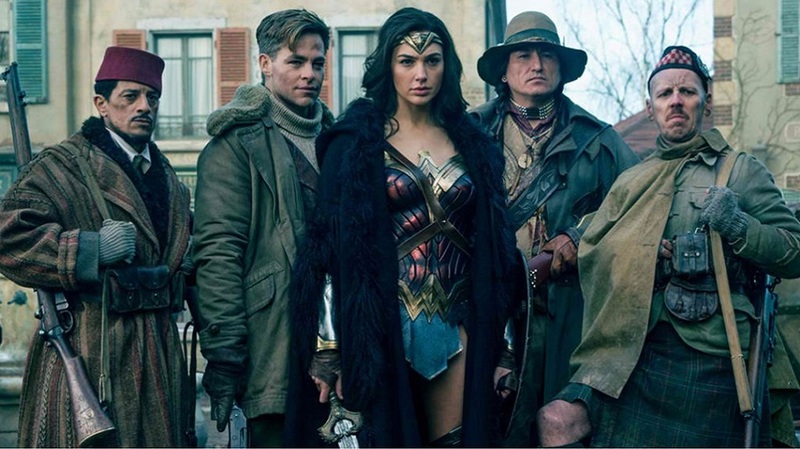 He plays the role of Chief in 2017’s runaway hit, Wonder Woman, bringing his native Blackfoot language to the role, and even speaking it in the film. Despite the challenges of being featured in a blockbuster production, Brave Rock has said: “I would’ve never been involved in this if I didn’t keep my cultural values close to me,” vowing to hold his Indigenous Canadian culture above all else. Many Canadians made appearances in international box office hits. Ryan Gosling began 2017 on a high, with an Oscar nomination for Best Actor (La La Land) in his pocket. To say his next film, Blade Runner 2049, was highly anticipated, would be an understatement. Since its release, it has been lauded for its craft categories, particularly its production design, done by the Vancouver-born Dennis Gassner (known for his other work on The Truman Show, Skyfall, and Big Fish). Directed by Quebecois auteur Denis Villeneuve, the film has been a critical hit. Before his box office success with Arrival and the Blade Runner sequel, Villeneuve won the 2014 Canadian Screen Award for Achievement in Direction, though the award was nothing new – he won it at the Genie Awards three times prior between 2000 and 2010, and that doesn’t even account for the three other Genie awards he won that same decade for screenwriting and adaptation. 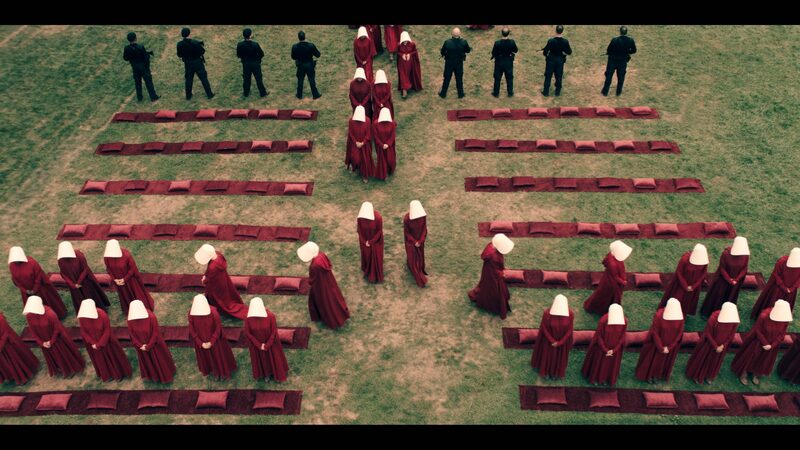 In the world of adaptation, Margaret Atwood’s The Handmaid’s Tale stands out as an obvious Canadian success story. Sweeping the Emmys and making history for streaming service Hulu, the show also won the 2017 Emmy Awards’ largest standing ovation for author Atwood, whose work of so-called “speculative fiction” has seemed less fictional and more prophetic as the political climate south of our borders has reached its boiling point. The Handmaid’s Tale brought the work of some of our most exciting directors to a global stage, including that of Kari Skogland. Canadian actress Amanda Brugel also made waves in the series as a Martha on a mission, with an anticipated larger role in the second season. Atwood’s adaptations in 2017 don’t stop there – she also had two series adaptations: one was a children’s series, Wandering Wenda that aired in Canada on CBC Kids, while the other, Alias Grace (a Sarah Polley adaptation), reached beyond our borders. The miniseries was featured in a preview screening at TIFF and was aired on CBC, then moved over to reside on Netflix. Margaret Atwood will be receiving the Academy Board of Directors’ Tribute Award at the 2018 Canadian Screen Awards. Also in the world of adaptation successes was The Breadwinner. While it may be less immediately associated with the world of Canadian success compared to Atwood’s work due to its Afghanistan setting, the book’s author, Deborah Ellis, is a celebrated Canadian and a Member of the Order of Canada, and the film has no shortage of star power. In fact, with Angelina Jolie in the executive producer’s chair and a cast comprised of noteworthy Canadians like Saara Chaudry, Soma Chhaya, Ali Badshah, and Canadian Screen Award nominee Kane Mahon, the powerful story which captured young readers in 2000 will no doubt satisfy their expectations, while also connecting with a new generation. Everything, Everything, a young adult novel, was another female-driven adaptation of 2017, only this one happens to also be the only wide-release film in 2017 with a black woman behind it. That is a disturbing statistic that shows a tremendous and troubling bias behind the scenes. 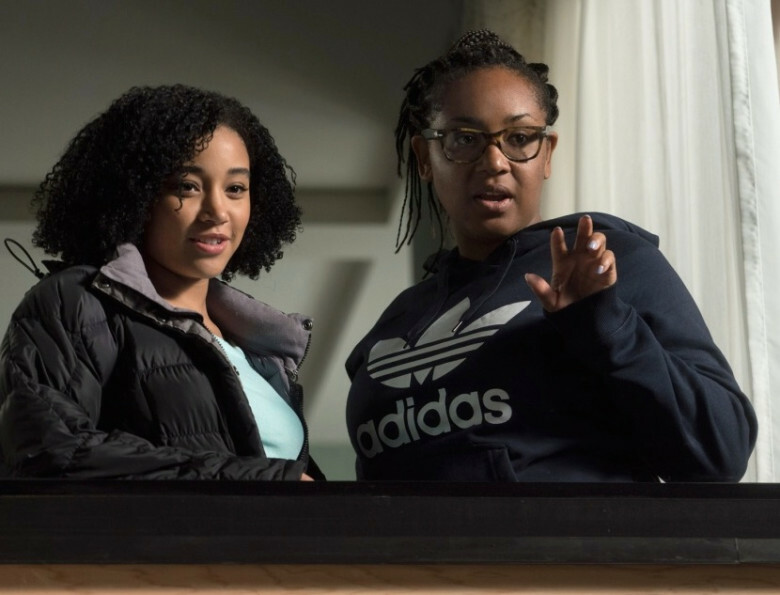 We are however so proud to say that the barrier-breaking black female director, is our country-woman Stella Meghie, whose first feature, Jean of the Joneses was nominated at the 2017 Canadian Screen Awards for Best Original Screenplay. In the field of direction, Jean-Marc Vallée won a Primetime Emmy Award (and the support of A-list actresses Reese Witherspoon and Nicole Kidman) for his directing on HBO’s Big Little Lies. He had previously been recognized by the Genie Awards with ten total nominations over the years, of which five were wins. 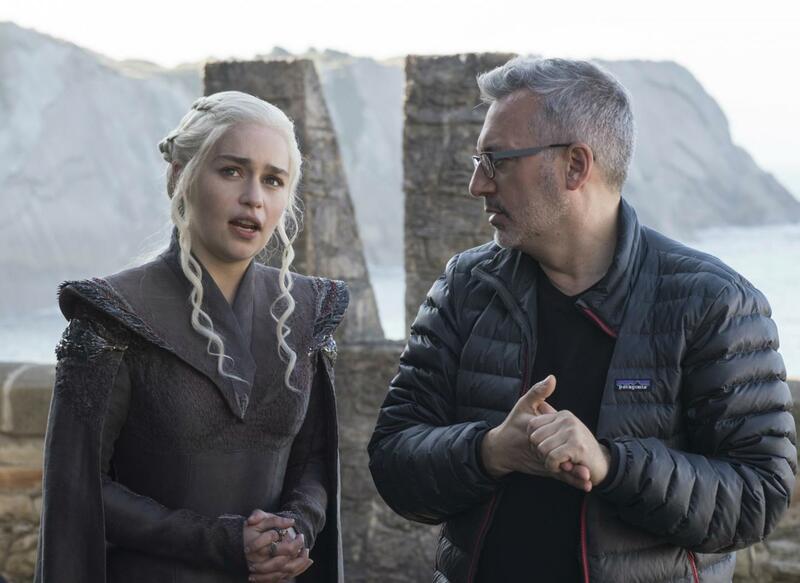 Another Canadian director, Jeremy Podeswa, has had the opportunity to direct many incredible works over the years, but he made headlines this year with the news that he would be directing this summer’s epic Game of Thrones seventh season premiere, and later, he would bookend it by directing the season finale. Filming takes place anywhere in the world that you can imagine and its viewership is equally international, as it airs in 186 countries and territories. Podeswa, like Vallée, had previously earned his stripes in Canada, snagging multiple Genie and Gemini nominations and wins on the way, primarily for his directing. This year was a major one for the many devoted fans of Carmilla, beginning with web series star, Natasha Negovanlis’ Fan Choice Award win at the 2017 Canadian Screen Awards. Their success didn’t stop there though, as the Canadian web series exploded into the world of film with The Carmilla Movie, released this past October. The movie isn’t only a win for the LGBTQ+ community (a community which the show proudly represents), fans (or as they’re better known, Creampuffs), or vampire enthusiasts; creatives everywhere will rejoice at the news that something from the digital sphere made its way into cinemas, and the fact that it was fan-funded! As much as a third of the budget for the film came from fans themselves, suggesting that fan engagement could really flip the causative relationship between supply and demand in the industry – a huge ray of hope for those popular in the digital sphere looking to monetize outside of ad space. And besides all of that, Creampuffs around the world were just plain thrilled to see their favourite lesbian vampire on the big screen. No discussion of Canadian success in the screen industry can be complete without mentioning 2017’s Canadian Screen Award Lifetime Achievement Award recipient Christopher Plummer…a few times. Plummer has earned a gamut of international awards over his career, and now with the aforementioned release of All the Money in the World on the horizon, he is closing out the year with not one, but two movies. 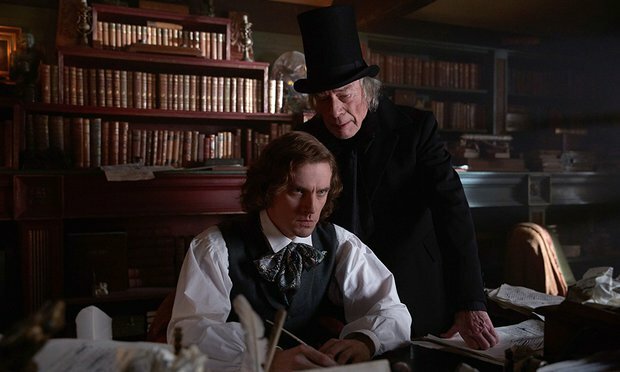 The Man Who Invented Christmas ends the year on a cheerier note, although Plummer himself plays Christmas’ original Grinch, Scrooge; in a screenplay written by multiple Gemini Award-winning Canadian writer Susan Coyne, the film explores Charles Dickens’ creative process which led to the creation of Tiny Tim and the world of the holiday classic, A Christmas Carol. Exploring the craft behind a world-renowned piece of art is a fabulous way to cap off the year, and exemplifies the dream for Canadian creatives: to continue conquering the world stage, tackling famous and challenging works, with a smile (and maybe a “sorry”) in tow. While I’m certainly no Dickens – or Coyne – myself, we at the Academy are excited to wish you a happy and creative holiday, and an inspired new year.